Argia tibialis (Blue-tipped Dancer) ♀. Size: approx. 35 mm. Photo: 05/08/16, noon. The females in this species occur in blue and brown forms, but both have wide black shoulder stripes. 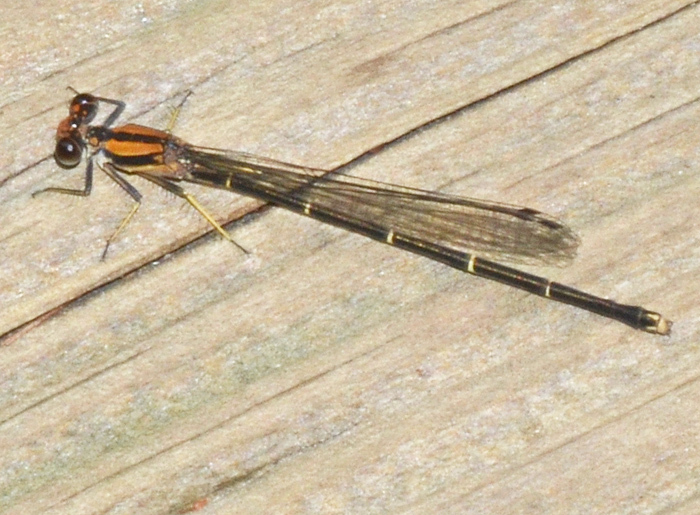 The abdomen of these dancers is all black with very thin pale rings. The species occurs in thirty US states and is typically found at small, wooded, sandy streams or ponds and less often at larger rivers. I discovered this brown form perching on our deck. 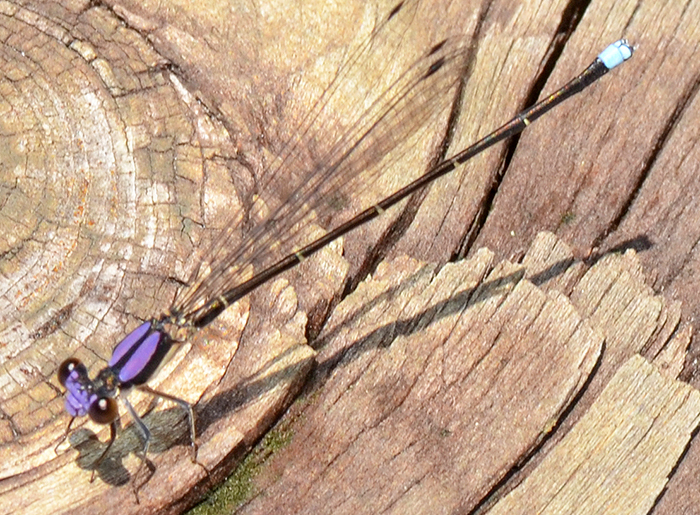 Argia tibialis (Blue-tipped Dancer) ♂. Size: approx. 35 mm. Photo: 07/22/18, 1 pm. The thorax of this male specimen has an amazing violet color and is accentuated by a bright blue tale end (abdominal segments 9 and 10). As characteristic for this species, I found it perched on the ground just like the female above.